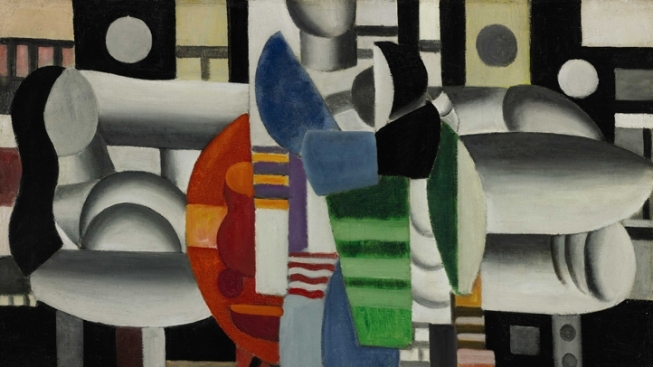 This image provided by Sotheby's shows "Three Women at the Red Table" by Fernand Leger. Pop diva Madonna is parting with the abstract French painting she's owned for more than 20 years to support girls' education in Afghanistan, Pakistan and other countries. Sotheby's auction house hasn't said who bought Fernand Leger's "Three Women at the Red Table" for $7.2 million on Tuesday. The abstract work had a pre-sale estimate of $5 million to $7 million.